PTS Electrical offer a first class service to domestic and commercial clients including landlords of domestic properties. We are professional and comply with UK electrical regulations to ensure the work is completed efficiently, safely and to our customer’s satisfaction. As an electrical service provider based in Peterborough, we cover North Cambridgeshire, South Lincolnshire and surrounding counties. PTS can provide electrical solutions to your home or business. Our highly trained team of experienced industry professionals have the skills needed to cope with the needs of both small and large jobs alike. From periodic testing, fault finding and inspection through to project managed installations, so we are your go-to provider. PTS understand for your home or business to run smoothly you need to have confidence that your power and services function without disruption, so you feel both safe and secure. And whether its an emergency fix or in need of a major upgrade, we can offer you a value for money service that delivers on our promises. At PTS we specialise in all forms of electrical testing and inspection for commercial and industrial premises. We provide our clients with independent and impartial reports on the condition of all electrical installations. As well as recommendations for remedial work. We inspect, test and analyse all aspects of an electrical installation for critical compliance. Using BS7671 18th Edition of the IEE Wiring Regulations. Our engineers have years of field experience and expertise. Along with up-to-date qualifications to ensure we meet our clients’ every need. At all times we are compliant with all regulations and Health & Safety legislation. Periodic electrical inspection of an installation is vital to protect people and property. Neglect of faulty systems could result in injuries to employees. As well as lost income and fines if found in breach of statutory responsibilities. In some instances it may even invalidate insurance. Regular periodic inspection and testing is an essential part of ensuring compliance with the requirements of the Electricity at Work Regulations 1989. Owners (or owner’s agents) of an electrical installation have a legal responsibility to prevent death or personal injury from electricity in work activities. The Regulations provide for electrical systems to be maintained in a safe condition.So users are protected from electrical shock and fire hazards. Regulation 4 (2) of the Regulations require that all systems and apparatus be maintained where this will prevent danger. It states that regular testing and inspection of equipment is an essential part of any preventative maintenance programme. On a change of ownership or tenancy of the premises. On a change of use of the premises. After alterations / additions to the original installation. Because of any significant change in the electrical loading of the installation. Where there is a reason to believe that damage may have been caused to the installation. 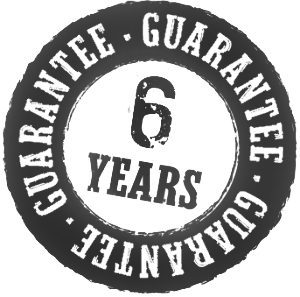 Commercial Installations – 5 years. Industrial Installations – 3 years. Buildings open to the public – 1 year. External Installations – 3 years. Fire Alarms – 1 year. Short Term Installations – 3 months. Site Installations – 3 months. Our inspection and testing service is carried out by qualified engineers to provide the reassurance that your electrical system is safe and compliant. We provide a full inspection report and relevant certification. Testing is undertaken in accordance with BS 7671 2001, the IEE Guidance Note 3 and the Electricity At Work regulations 1989. Our testing report provides for observations and recommendations on matters adversely affecting electrical safety. Where suggestions are made, they will be classified according to their importance. Guidance for any urgent remedial works will be made and a quotation for corrective action will be provided. Once systems are tested, inspected and found to be satisfactory, an approval certificate will be issued. Making sure you keep your systems maintained and serviced often avoids lengthy and costly repair projects. Engaging PTS on a regular basis means we can keep your business running smoothly and safely. All too often emergency lighting is seen as a “fit and forget” product. In the event of an emergency, should the mains supply fail you, this could be putting people and your property at risk then your insurance may also be affected. We specialise in helping property managers fulfil their fire / health & safety obligations. Through regular emergency lighting testing and inspection for both compliance and insurance purposes. In October 2006, new fire safety legislation: Regulatory Reform (Fire Safety) Order 2005 was implemented. It promotes self regulation and places the requirement for compliance squarely on the employer, owner or occupier. One of the main requirements of an order is to carry out a fire risk assessment identifying the risks and hazards. We can undertake a free no-obligation risk assessment of your current emergency lighting and provide a proposal for regular maintenance including testing, certification and recommendations. PTS Electrical’s Emergency Lighting contracts consist of monthly/ 6 monthly / Annual testing and certification, carried out by qualified engineers. Any electrical and lighting repairs we identify will be reported in a separate quotation for your consideration. Providing electrician and locksmith services throughout north Cambridgeshire and south Lincolnshire, including Peterborough, Stamford, Huntingdon, Deepings and Oakham and surrounding villages.